In 1984, Tim Burton made Frankenweenie, a short live-action film that restages the Frankenstein myth in terms of a little boy and his dog. At the time, Disney was so baffled by Burton's macabre vision that it shelved the film and fired the young director. 38 years later, Disney teamed up with Burton again to turn that short into a big-budget stop-motion animated feature film. After 16 features, Burton, the misunderstood genius pushed into exile to follow his demented dreams, has shown everyone just how truly marvelous his monstrous vision can be. Danny Elfman's Music from the Films of Tim Burton celebrates the magic the director and composer created together, but it's also a good time to recognize the cinematic alchemy that is Tim Burton. It's no accident that the Frankenstein myth is central to Burton's work, and not simply because he finds beauty in monsters. Starting in 1985 with Pee-Wee's Big Adventure (the first work in which Burton and Elfman collaborated), Burton's feature films have re-animated different genres, styles, and formats to create something new and startling. With each new film, Burton demonstrates a remarkable talent for inventiveness, for recombining bits and pieces of past movies, comic books, and stories to create something entirely new. From turning the ghost story on its head in Beetlejuice to infusing the superhero myth with new blood in Batman to taking classic literature through the looking glass of his imagination, Burton frames the stories we think we know to show us something strange and wondrous. Like the good Dr. Frankenstein, Burton stitches together the fragments of our shared cultural experience––be they B-movie thrillers, European art film, comic books or high modernism art––to create cinematic creatures that take on a life of their own. Here are nine feature films that showcase the remarkable range of Burton's transformative imagination. From the start of Danny Elfman's 4/4 beat, step-right-up-folks music for the opening credits of Tim Burton's 1985 Pee-wee's Big Adventure, we know the circus is in town. If Elfman set the tone, it was the meeting of two crazed minds, Paul Reubens and Tim Burton, that set the adventure in motion. After the unexpected success of his TV series The Pee-Wee Herman Show, Paul Reubens was given the opportunity to write (and star) in a feature film. He had nearly completed a script when new inspiration struck him after he noticed all the people riding bicycles to get about the Warner Brothers lot. Taking his cue from Vittorio De Sica's neo-realist The Bicycle Thief, Reubens conjured up a yarn about Pee-wee traveling the country in search of his stolen bicycle. And Reubens found just the man to bring his tale to the screen while watching Burton's short, Frankenweenie. "I was looking at the wallpaper in this bedroom and the lighting and just going, 'This is the guy who has style and understands art direction,'" he told Ain't It Cool News in 2012. The appreciation was mutual. 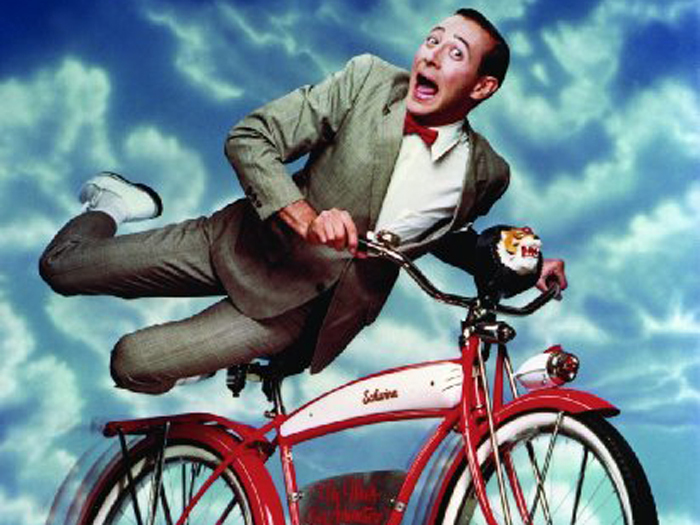 For Burton, Pee-wee was so dynamic a character that all he had to do as a director was put him on screen. "What we did was thrust people into his world," Burton explained to Starlog in 1988. "We said, "This is Pee-wee, believe him or not." Every stop along Pee-wee's trek across the American West gave director and star another chance to stretch their imaginations. From the cartoon-come-to-life biker bar to the dinosaurs as props to the stop-motion animation of a ghost truck driver, the film is as chock full of ideas and allusions as Pee-wee's own playhouse was with wacky gadgets. Wrapped up in a candy-color palette, the film made no distinction between the childlike and the adult, with references to Jacques Tati and Kiss Me Deadly racing about with Tex Avery cartoons. Buoyed by Elfman's delightful score, Pee-wee's Big Adventure maps out a cultural landscape filled with infinite jest and possibility, a world that Burton would explore further with each new film. Danny Elfman's high spirited musical intro to 1988's Beetlejuice, with the French horns, tubas, and trombones blasting out a melody both jubilant and ominous, sets just the right tone to Burton's cinematic danse macabre. "It has elements of horror, but it's not really scary and it's funny, but not really a comedy," explained Burton when asked to describe the film in an interview with Starlog. 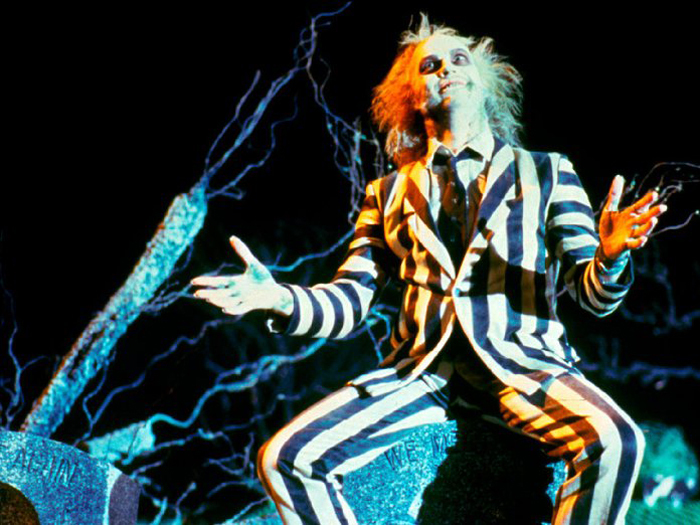 "Beetlejuice is one of those movies that just does not fit any place." It was the impossible-to-pin-down structure of Michael McDowell's original screenplay that drew Burton to the project in the first place. "When I read it, I thought 'Wow! This is sort of interesting. It's very random. It doesn't follow what I would consider the Spielberg story structure,'" Burton told Rolling Stone. As a sort of updated Topper, Beetlejuice turns the haunted house genre inside out by telling the story of the dead being tormented by the living. A recently deceased couple, Barbara and Adam Maitland (Geena Davis and Alec Baldwin), are trying to protect their quaint Connecticut farmhouse from a yuppie family––a hilariously shrill artist (Catherine O'Hara), her stressed-out husband (Jeffrey Jones), and their Goth daughter (Winona Ryder)––who have bought the Maitland's residence and are trying to hideously redecorate it. To protect their home, the Maitlands turn to a renegade "bio-exorcist," played by Michael Keaton, to wreak havoc on the living. Like the score, which moves madly from Elfman's allusions to Grieg's In the Hall of the Mountain King to a full-throttled rendition of Harry Belafonte's "Day-O," Burton's imaginative world is equally diverse. Starting with a Grant Wood-like New England landscape (quickly overtaken by a spider), the film moves with the jittery stand-up comic energy of its malevolent hero all over the place. Part stop-motion animation, part prop humor, part slapstick, part social satire, Beetlejuice is less a haunted house than a crowded attic of cultural and cinematic artifacts. And for some critics, that jumble makes the film great. "With crazy comedy," the New Yorker's Pauline Kael wrote, "you settle for the spurts of inspiration, and Beetlejuice has them…enough…to make this spotty, dissonant movie a comedy classic." 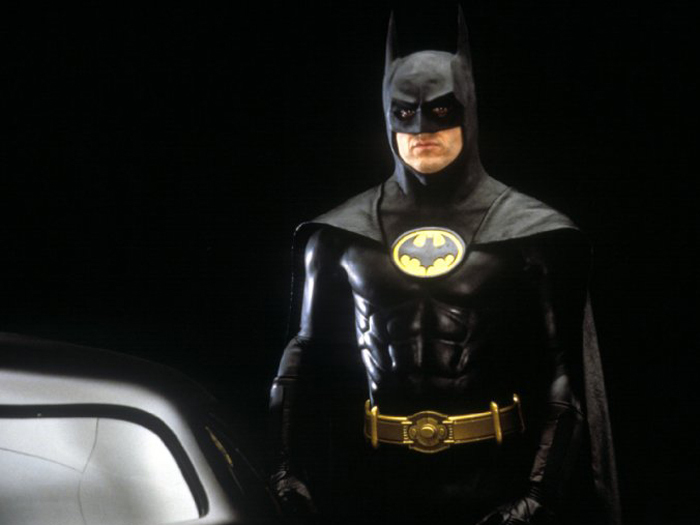 At the start of Burton's 1989 Batman, Elfman's score has violins and trombones, separated only by a few octaves, play the same melody, as if in agreement on the emergence of a new hero. Finding a new hero was exactly the mandate that Tim Burton and the producers set for themselves in bringing DC Comics's other great superhero back to the screen. According to Alan Jones in Cinefantastique in 1989, the movie's producer Michael Uslan announced at the time, "The film must be about the creature of the night and capture the spirit of what Batman was originally about." For Burton, that meant ignoring the campy '60s version, as well as a script provided to him that was, he told Burton biographer Mark Salisbury, Superman with the names changed: "It had the same jokey tone… They didn't acknowledge any of the freakish nature of it… it's a guy dressing up as a bat and no matter what anyone says, that's weird." For his version, Burton would take what was "weird" about the character and made it even stranger and more sinister. The hero was solitary, so Robin was vanquished. To keep the hero unpredictable, Burton cast Michael Keaton, a traditionally comic actor, as the lead. The film's black comedy would fall to its villain, Jack Nicholson, who was given free license to unleash his anarchical talent as the Joker. But even more overwhelming would be his Gotham City. Mixing comic book style, German expressionist lighting, and allusions to Fritz Lang's Metropolis, Burton and his team re-built not just a franchise, but a whole universe as well. "You should create your own reality," Burton's production designer Anton Furst explained to The Hollywood Reporter. "We ended up with this rather interesting idea of canyons, with structures cantilevered forward and bridges over them. We even took things like prison architecture and stretched into skyscrapers." And Elfman's score, from its heroic intro to a silky waltz number for the Joker to its joyous trumpet fanfares, keeps the dark mystery of this comic adventure alive (and weird) throughout. 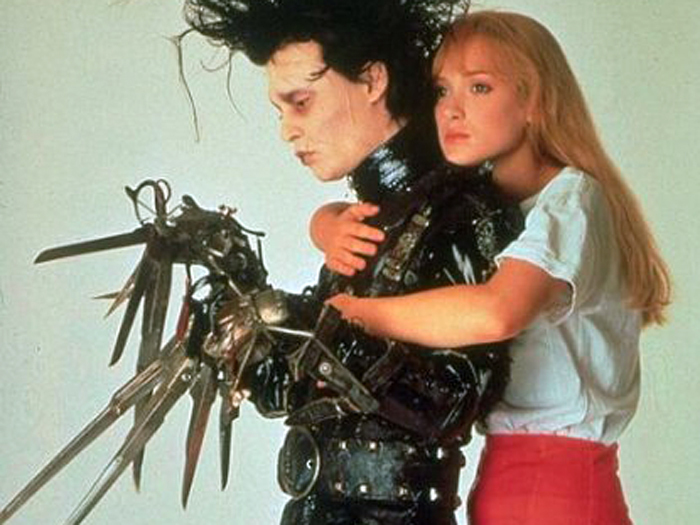 Elfman's title music for Burton's 1990 Edward Scissorhands, with each note of its wintery waltz of celesta and plucked strings as sharp and brilliant as the blades of the hero's hands, tells us we are entering a world of childhood dreams. Elfman told Entertainment Weekly that "Edward was this pure joyful experience, just a very simple thing." The film originated from Burton's own childhood in Burbank, CA, from a drawing he made about a boy, as Burton explains in his DVD commentary, "who couldn't touch, a character who had emotions, who wanted to feel things, but, because of the sharpness of his fingers, couldn't actually touch somebody." Later, Burton commissioned novelist Caroline Thompson to transform that image into a screenplay. What emerged was a retelling of the Frankenstein legend in which the monstrous meets the mundane. A man-made boy, Edward (played by Johnny Depp in his first of many films with Burton) finds his fate sealed when his Inventor (Vincent Price) dies before he can finish his hands. 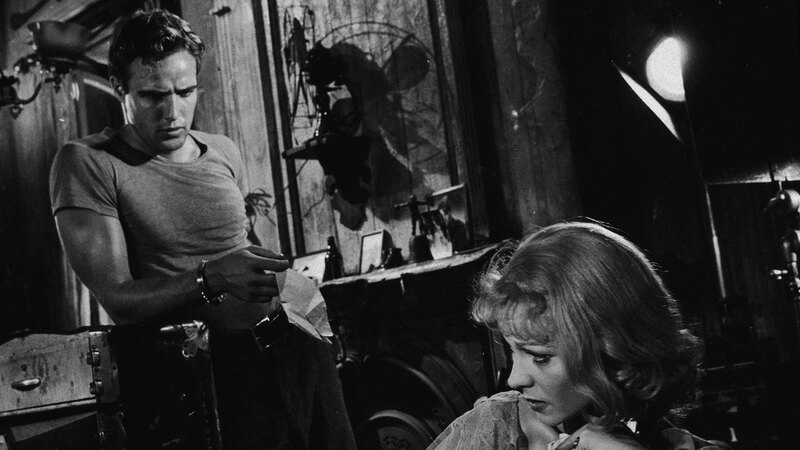 Eventually adopted by suburban mom Peg Boggs (Dianne Wiest), Edward almost finds a normal life––he even falls in love with Winona Ryder––before his razor-sharp appendages cause the town to turn on him in a scene reminiscent of the villagers trapping the monster in James Whale's 1931 Frankenstein. For Burton, this poetic split between the suburban and the strange was in many ways a self-portrait. While many of the townsfolk, and their love for Tom Jones, were lifted directly from his memory, the film's casting of Vincent Price and its referencing of classic Universal horror movies showcase the things that most touched him as a boy feeling alone and separate in suburban Burbank. The moment we hear the eerie whine of a theremin in Elfman's score for 1996's Mars Attacks!, we are transported back to the movies of Burton's youth, specifically Robert Wise's 1951 classic The Day the Earth Stood Still, featuring composer Bernard Hermann's unworldly musical cues. "That was the first film where I noticed the music," Elfman recalled to Cinefantastique in 1996, "and was aware as a kid that the music isn't just there by magic." Burton's movie is both a salute to and spoof of those Saturday matinee adventures, as well as a nod to '70s disaster film. 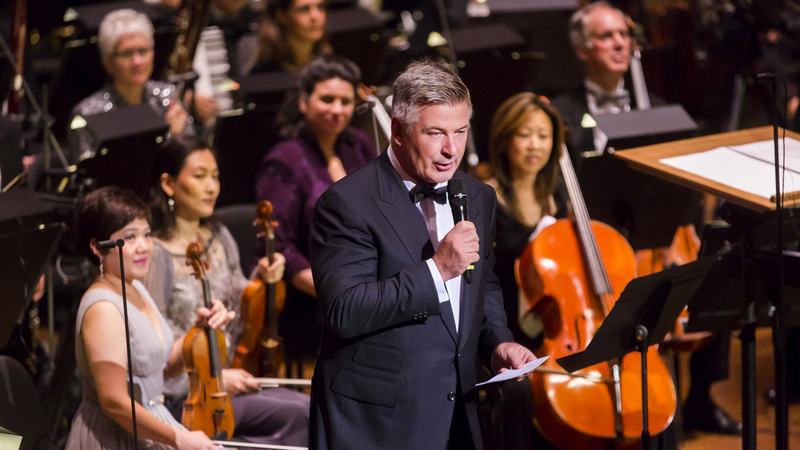 With a cast that includes Jack Nicholson, Glenn Close, Annette Bening, Pierce Brosnan, Martin Short, Michael J. Fox, Rod Steiger, Tom Jones, Jim Brown, Pam Grier, Jack Black, and Paul Winfried––to name only a few––the film recalls the mega-wattage star power of film events like The Poseidon Adventure and The Towering Inferno. The title and premises, however, were gleaned from a series of 1962 trading cards that rather violently imagined an alien takeover. Screenwriter Jonathan Gems found the cards in a junk shop and suggested Burton option them for a film. 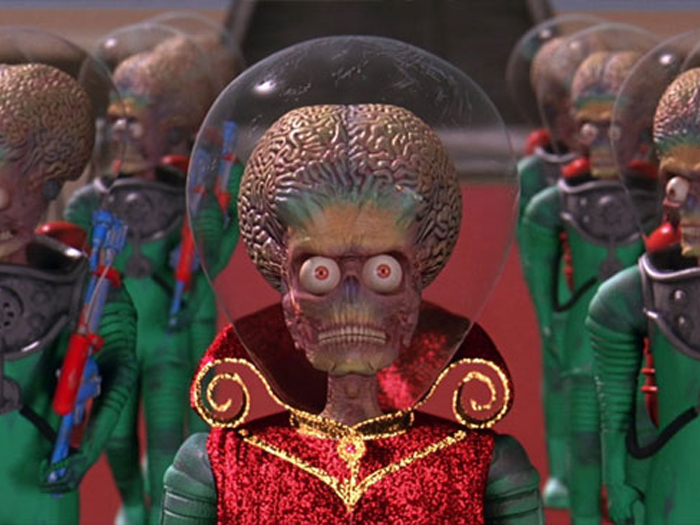 The resulting big-budget extravaganza, exalting in intentionally schmaltzy effects and a comic-book art direction, chronicles the widespread death and destruction levied on earth by a Martian army, until the film's young hero (played by Lukas Haas) discovers that the creatures explode when they hear Slim Whitman's "Indian Love Call." Despite Mars Attacks! 's many allusions to classic sci-fi, it was a modern alien invasion, Roland Emmerich's 1996 Independence Day––released just months before it––that most defined it. While the two covered the same ground, Burton quipped at the time "it almost seemed like we had done kind of a Mad magazine version of Independence Day." 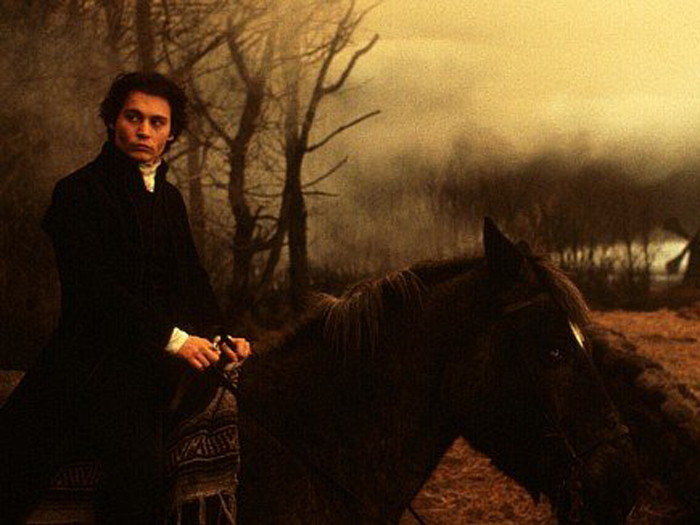 While Burton's 1999 adventure Sleepy Hollow is inspired by Washington Irving's 1820 short story The Legend of Sleepy Hollow, a classic of early American literature, Burton and his team took their visual cues from British films and characters. The story, of course, has been drastically altered. Irving's schoolteacher gives way to the film's Ichabod Crane (Johnny Depp), a police detective looking to debunk the myth of the headless horseman with newly developed forensic science. Burton, whom Paramount hired to direct the dark period piece, had an early connection to the story. One of his CalArts animation teachers had worked on the 1949 Disney version. The film also allowed him to dive fully into a genre he'd been splashing in for decades. "I had never really done something that was more of a horror film," Burton told The Guardian's Mark Kermode. But rather than turn to Hollywood horror, Burton wanted to reference the British Hammer Films studio, famous in the '60s and ' for such macabre Technicolor works as Dracula: Prince of Darkness and Dr. Jekyll & Sister Hyde. As Burton told the newspaper, Hammer's brand of horror, with its "dark and lurid colors, the sexiness of it and the strength of them going for it in the way a good folk tale would," provided just the right aesthetic to transform Irving's tale from a ghost story to a full-blown sensual horror. Burton even cast Christopher Lee, a star of the Hammer genre, for a cameo. That luxuriant overgrown sensibility extended into nearly every aspect of the film. "We wanted a sort of portentousness,'' production designer Rick Heinrichs explained in the New York Times, ''houses with growths on them: tumorous, interesting shapes growing out of other shapes all kind of huddled together.'' And Danny Elfman's score, mixing lush romantic string cues with ethereal and haunting vocals, intertwined horror and beauty through out the film, capturing the feel of those dark films in which danger and decadence were so closely aligned. Burton's 2003 Big Fish mines the rich vein of American folklore to come up with a film that speaks to the director's experience both as a son and storyteller. 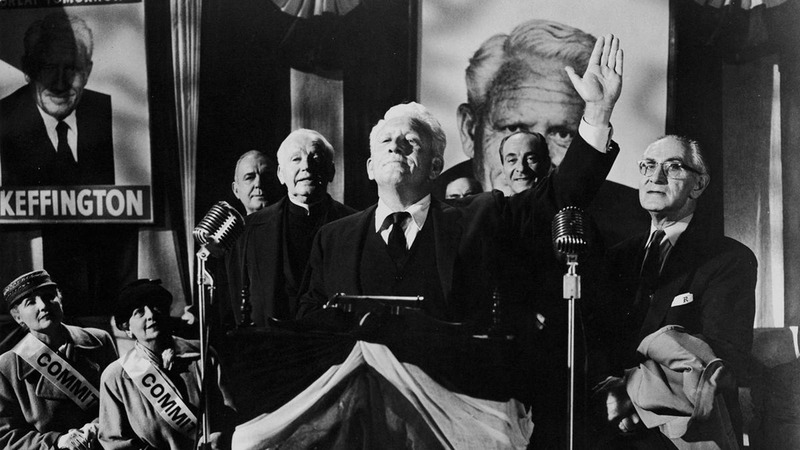 "My father had died before I got the film," he recalled to the BBC's Jamie Russell at the time. "And I was thinking a lot about those issues and how abstract that relationship is and how hard it is to communicate those feelings in that parent-child relationship." 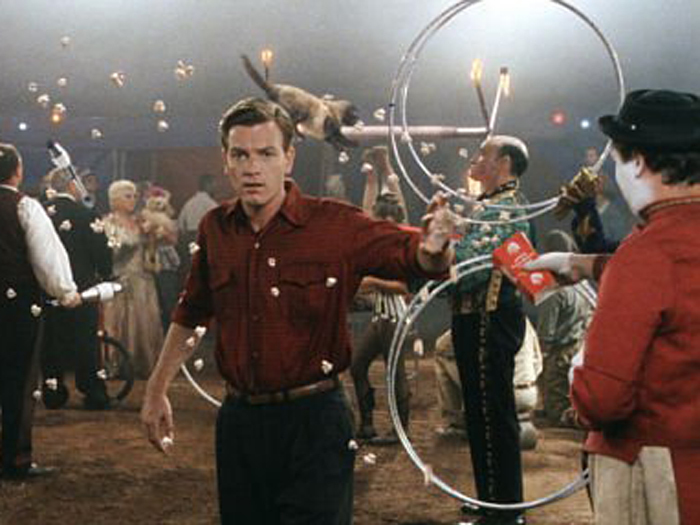 Adapted by John August from Daniel Wallace's novel, Big Fish dramatizes the relationship between William Bloom (Billy Crudup) and his dad Edward (Albert Finney), a rascally teller of tall tales that makes his son doubt he can believe anything his dad says. With Ewan McGregor standing in for the young Edward, we see his stories come to life with brightly colored country landscapes populated with mermaids, werewolves, human giants, glass-eyed witches and, of course, a whale-like catfish. For Burton, and eventually for William in the film, the question is not whether the stories are true, but how true. 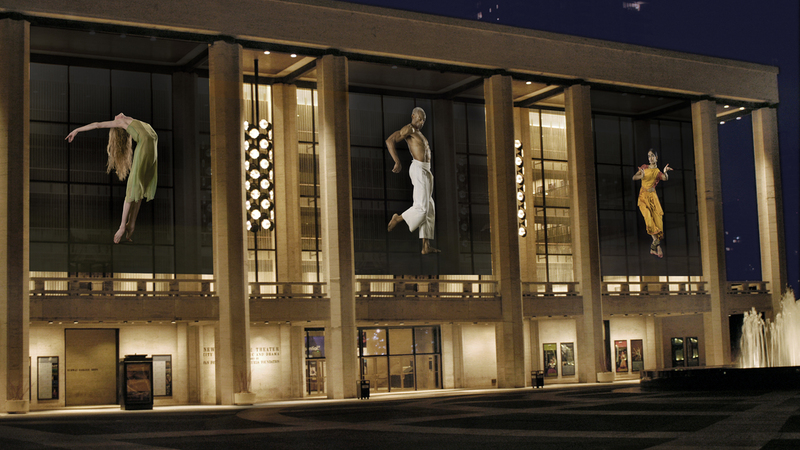 "I've always been fascinated by what people's perception of normal is, and the quest for what normal is," Burton told KCRW's Elvis Mitchell. And Elfman's score, drawing on the idiom of American bluegrass, with its earthy mix of banjos, guitars, and fiddles, helps ground this distinction between fantasy and folklore, between what is made up and what is exaggerated. Indeed, Elfman's twangy tones, like Edward's drawn out tales, are all about stretching the truth, not abandoning it. 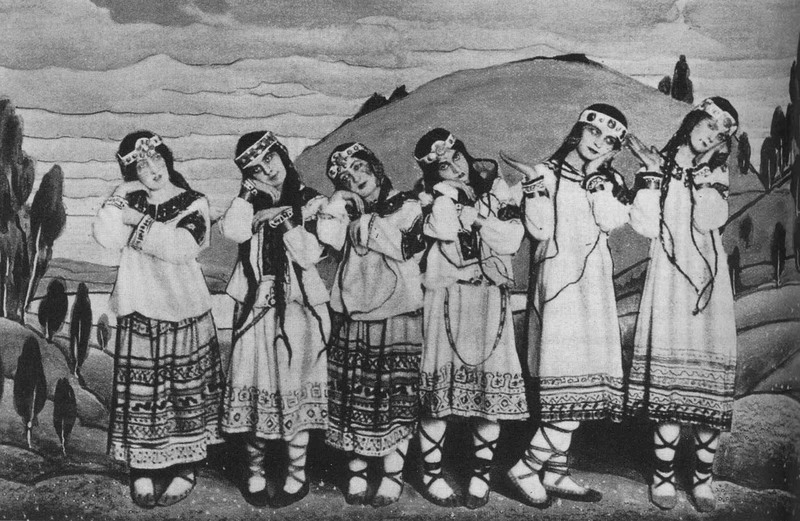 For many, the film's balance between his folkloric menagerie and a more personal family tale marks a new direction for Burton and his collaborators. "The tension inherent in this fable of a father with his head in the clouds and a son with his feet on the ground brings out a bracing maturity in Burton and gives the film its haunting gravity," wrote Rolling Stone's Peter Travers. "As the son learns to talk to his father on the father's terms and still see him clearly, Big Fish takes on the transformative power of art." 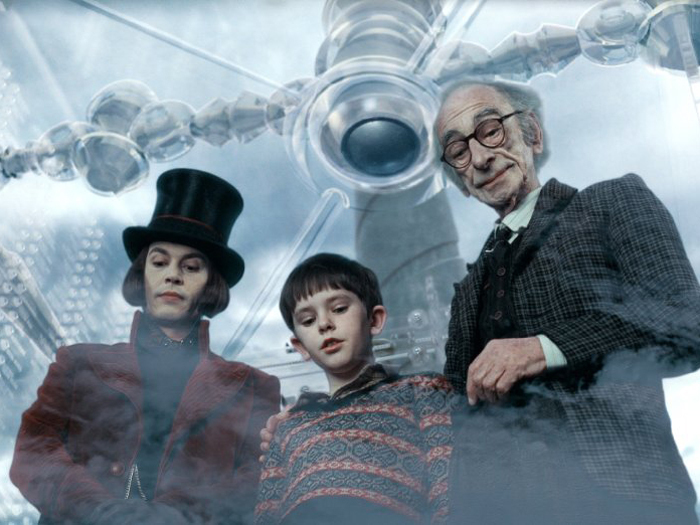 Before adapting Roald Dahl's 1964 classic children's book Charlie and the Chocolate Factory to the screen, Tim Burton and Danny Elfman had to confront the proverbial cotton-candy elephant in the room––Mel Stuart's iconic 1971 musical Willy Wonka & the Chocolate Factory, with Gene Wilder as the confectionary tycoon (and a delightful score by Anthony Newley and Leslie Bricusse that resulted in at least one chart-topping hit, "Candy Man"). The filmmakers' solution was to look the other way. "Tim made it really clear from the beginning that we weren't even going to get close" to the original, Elfman told Entertainment Weekly, "In fact, he wanted to do the opposite." With that decision, Burton opened up the factory gates, providing both composer and director unlimited access to a massive warehouse of pop music and movie references. The project gave Burton a golden ticket to run wild with his imagination, styling his sugary fantasy from things as diverse as Bill Brandt's art photography, fascist architecture, and sci-fi classics like 2001: A Space Odyssey. 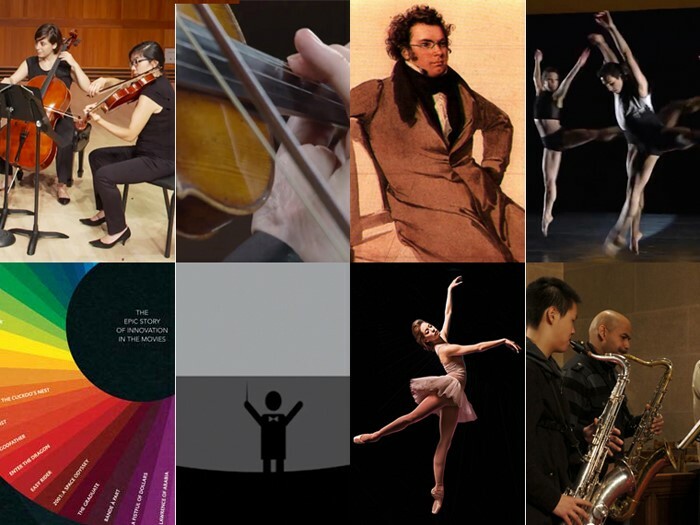 And Elfman was like a kid in candy store, pulling freely from musical traditions and styles to match up with the personality of the different children who'd won an opportunity to visit the famous chocolate factory. The gluttonous German girl Augustus Gloop was given a Bollywood theme, a genre that would prove a stylistic inspiration for both Burton and Elfman through out the film. The shallowness of the spoiled Veruca Salt was played out by her Abba-esque theme, with just enough of quivering sitar to recall the Bollywood conceit. The ultra competitive Violet Beauregard gets down with a funky beat. And the violent TV-obsessed Mike Teavee rocks out with a Queen-like rock anthem. Elfman even added his own voice to the mix of Oompa Loompas. Filmmakers have always found Lewis Carroll's 1865 fantasy Alice's Adventures in Wonderland, an adventure about a little girl thrown into a dream landscape ungoverned by laws of time and space, to be a perfect metaphor for cinema itself. First adapted in 1903, the story of Alice has been remade some 15 times, in versions ranging from ponderous to pornographic, before Burton decided to visit Wonderland. As Tim Burton explained to a 2009 Comic-Con crowd, these earlier interpretations inspired him to give "some framework and emotional grounding that I felt I'd never seen" before. While a very loose interpretation of Carroll's original tale, Burton's Alice in Wonderland nevertheless echoes the original's inventiveness and unpredictability. Keeping the book's iconic cast of characters, from the Mad Hatter (played by Johnny Depp) to the haughty Red Queen (Helena Bonham Carter), Burton tried very hard, he explained, "to give them their own specific weirdness." Equally weird and specific is his wonderland, a whirling hallucination of distortion and beauty created by CGI and shown in 3D. But the heart of the story is Alice (played by Mia Wasikowska) as a young woman intent on taking control of her destiny. 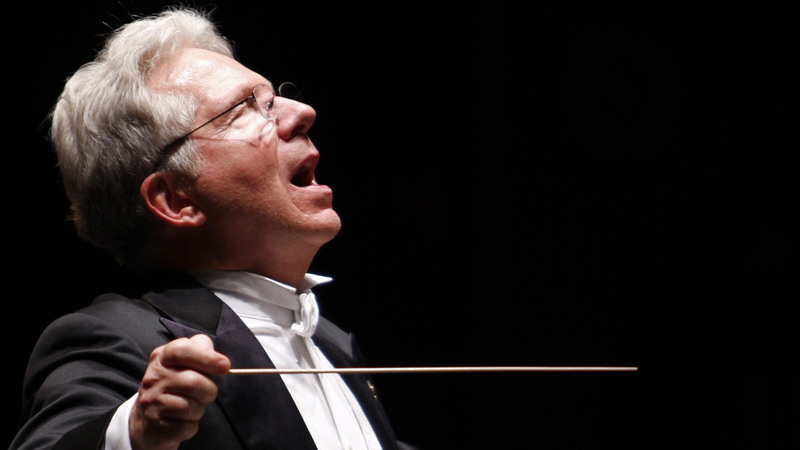 Fueling her adventure is Elfman's wondrous score, which glides gracefully between delicate pastoral cues to Wagnerian tones to its glittering operatic opening, "Alice's Theme." But, as the composer explained to TrailerAddict.com, "Alice doesn't have one theme; she has several. One playing the sweeter more innocent side of her as she begins the story, very naïve and somewhat weak. And one for the Alice that emerges at the end, which is stronger." 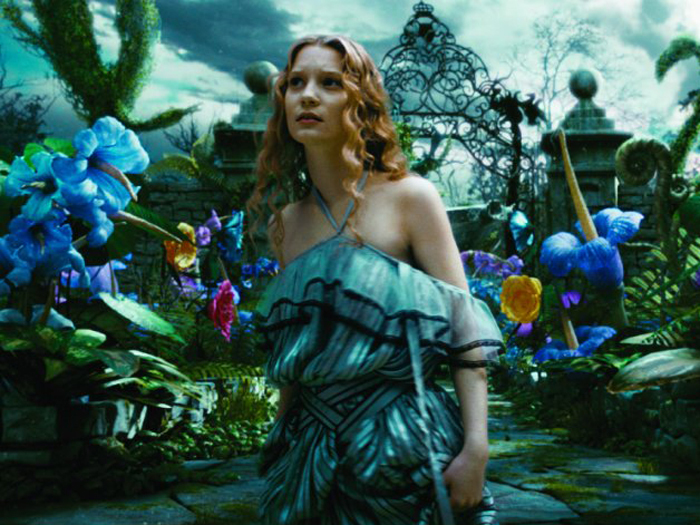 As such, Elfman's second theme brings Burton's Alice through the looking glass to give her an emotional trajectory so missing in previous versions. 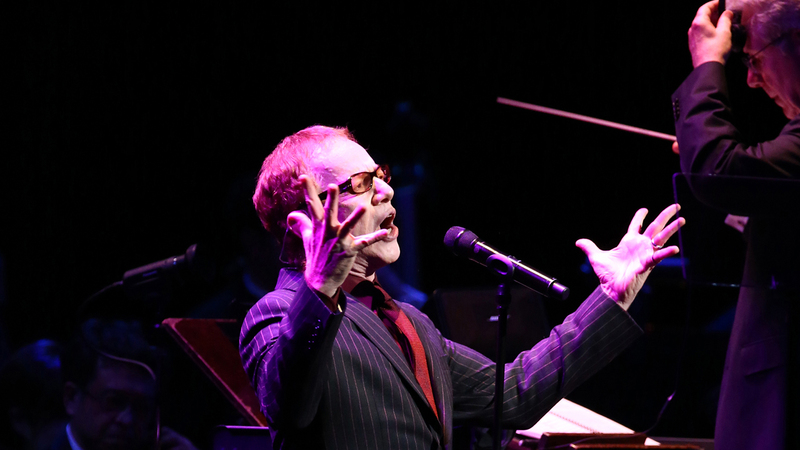 Danny Elfman's Music from the Films of Tim Burton runs Monday, July 6-Sunday, July 12, with a special artist talk on July 9.